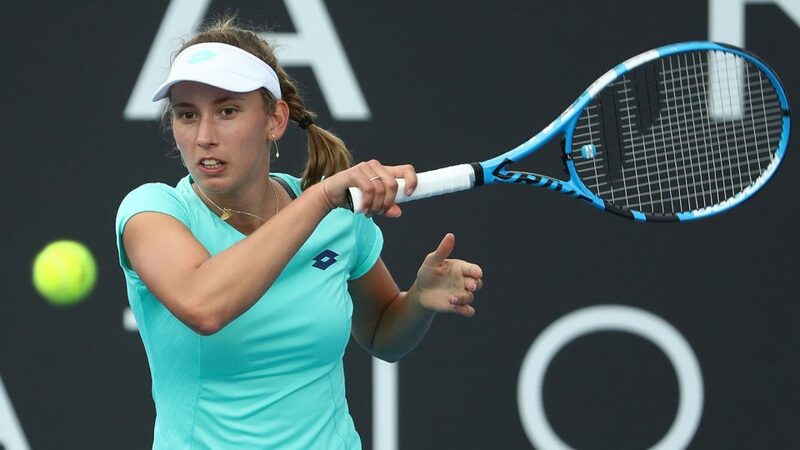 Belgian Elise Mertens is one win away from making Hobart International history. The No.2 seed has the chance to become the first player to win the title twice after battling past Brit Heather Watson 6-4 1-6 6-2 in today’s semifinals. Mertens was the more aggressive of the pair early in the match, trying to dictate rallies and keep points short. One break, secured in the fifth game, was all Mertens needed to win the opening set. Watson struck first in the second set, breaking in the fourth game to race to a 4-1 lead. The 2015 champion began to step in, taking time away from Mertens and changing the momentum of the match. With a deft drop shot winner, Watson took the second set 6-1. But Mertens regained control in the deciding set, clinching a break in the fourth game with a millimetre-perfect lob and holding firm to win in one hour, 42 minutes. “I’m pretty pleased about my game – defense and also offense, it was a good mix,” Mertens said. Watson, who won the Hobart International title in 2015, blamed her exit on too many unforced errors. “I’m really disappointed, but more because I didn’t feel that I played that well today,” Watson said. “I was feeling the ball well and moving well, but the timing was just a bit off. But Watson could still find positives after earning her place in the main draw as a qualifier and winning five matches for the week. “I’ve played some great tennis this week and come through some tough battles which has made me feel very ready for if it gets tough in Melbourne,” Watson said. Mertens plays either fifth-seeded Ukrainian Lesia Tsurenko or Romanian Mihaela Buzarnescu in tomorrow’s final.